Railpictures.ca - Michael Berry Photo: CN 310 has SD70I CN 5616 and ex-CSXT Dash8-40CW GECX 7303 for power as it heads east through Dorval on a clear but cold and windy morning. | Railpictures.ca – Canadian Railway Photography – photographie ferroviaire Canadienne. 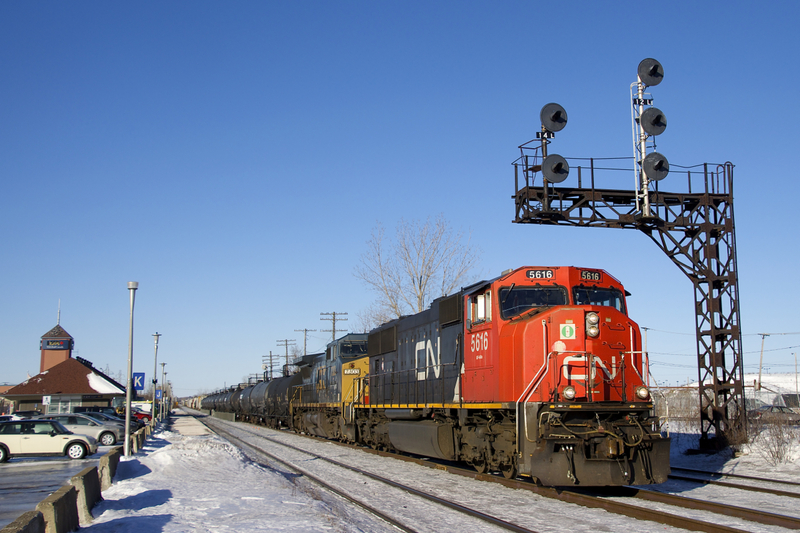 Caption: CN 310 has SD70I CN 5616 and ex-CSXT Dash8-40CW GECX 7303 for power as it heads east through Dorval on a clear but cold and windy morning.